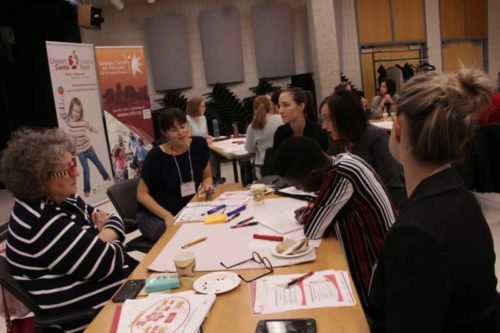 On September 26, 2018, the roundtable Sustaining Healthy Start – Beyond 2020 was held at La Cité universitaire francophone in Regina. 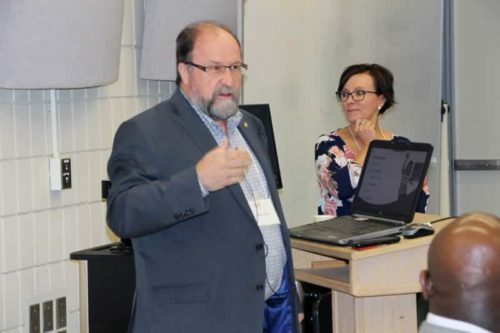 This important knowledge sharing forum, organised by the Réseau Santé en français de la Saskatchewan (RSFS), addressed the impact of the Healthy Start/Départ santé (HSDS) initiative and its future. The participants at the roundtable were unanimous on the relevance of the program. The question was not “if” it should continue beyond 2020 , but “how” to sustain it in the long term. 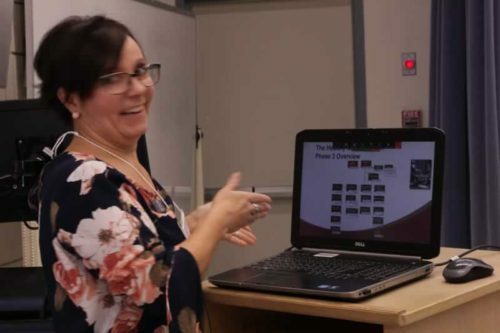 On March 31, 2020, the HSDS program will reach an important milestone. Fourteen years after its inception, in 2006, HSDS’s Phase 3 will be completed. The project will adopt a delivery model that ensures its long-term viability. 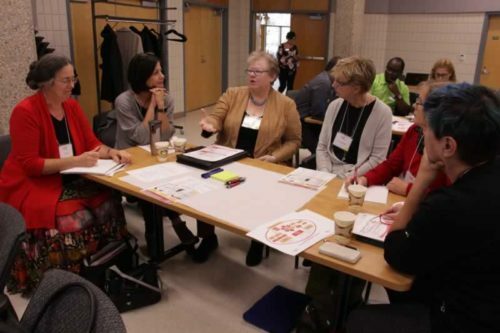 To explore various options and venues of action, 35 partners and stakeholders participated at the roundtable in Regina. 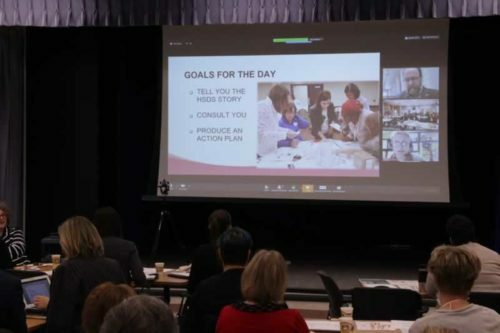 Seven participants from New Brunswick and a public health nutritionist from La Ronge, in Northern Saskatchewan, joined the proceedings by videoconference. 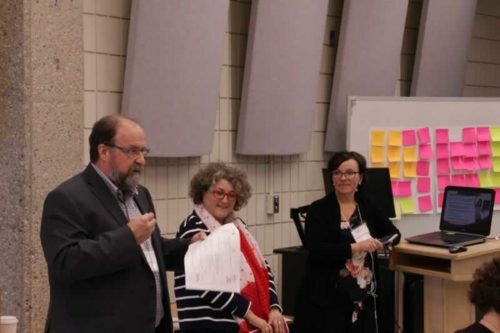 The program’s sustainability is closely linked to having policies in place and access to adequate funding. To achieve this, some efforts will have to be invested in connecting with elected people who have influence on policies and budgets. One of the key messages in this regard will be to educate the policymakers about the benefits of prevention vs. the cost of treating health problems. Work must start now to identify funding sources and secure a financial model that will allow this initiative to continue. To initiate the discussions, a document was prepared to present a comprehensive overview of the project current status as well as a proposed course of action: HSDS White Paper: Preliminary Healthy Start Scale-up Proposal. 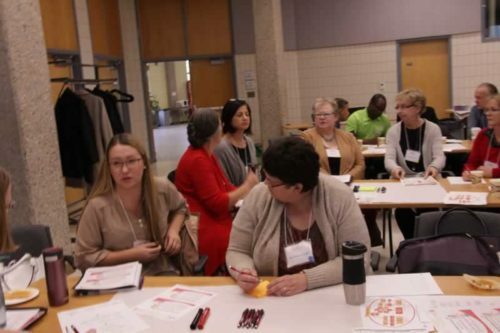 HSDS is a program meant to increase opportunities for physical activity and healthy eating in children attending licensed childcare centers and prekindergarten programs in Saskatchewan and New Brunswick. 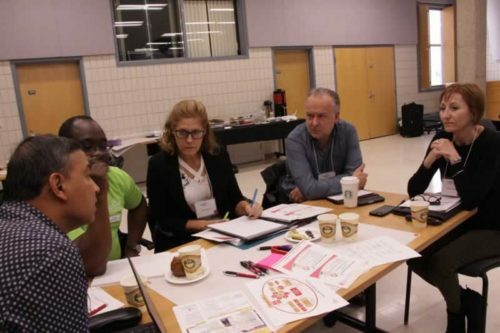 HSDS provides direct support to directors, educators and cooks with resources, training sessions and ongoing support to enrich the environment and increase the opportunities for children to be active and eat healthy. 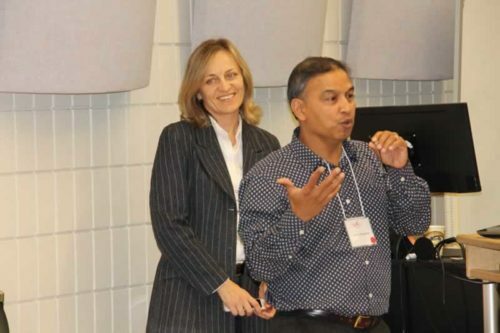 A value-added component of HSDS’s program is its cultural adaptation for immigrants and First Nations as well as its availability in Canada’s both official languages. 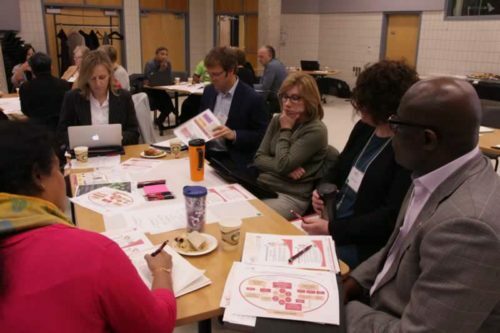 One of the key components HSDS is its ongoing evaluation by academic partners. 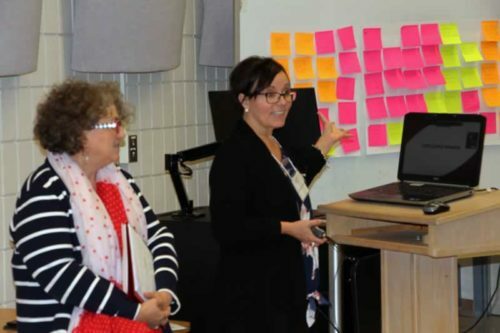 Their findings offer a roadmap for developing guidelines for the benefit of early year centres and parents of young children. 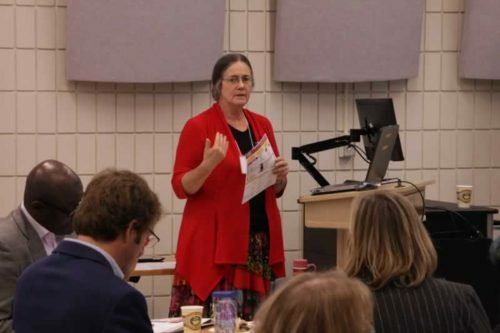 Dr. Anne Leis, from Department of Community Health & Epidemiology at the College of Medicine of University of Saskatchewan, presented a report at the roundtable that highlighted various positive impacts of the project in phase 2 (2013-2017). Among those it is worth noting that children enrolled in Early Years Centres who participated in HSDS displayed improvement in locomotor skills. 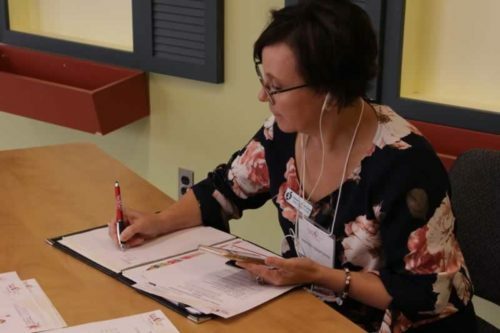 Her report also identified many challenges in implementing the program, many of them linked to the limited engagement from parents and childcare workers due to lack of time or high level of staff turnover. 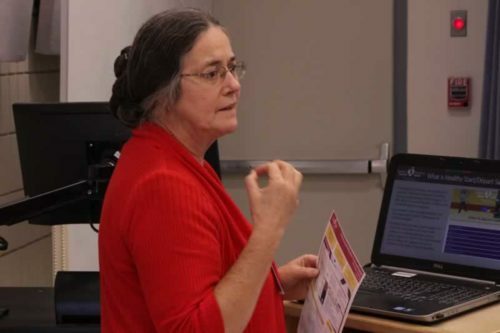 There is also the issue surrounding the fact that changes brought by the training rarely transformed into formal written policies at the child care centre level. National Web site – online training. HSDS White Paper offers details on each option and some costs estimates. 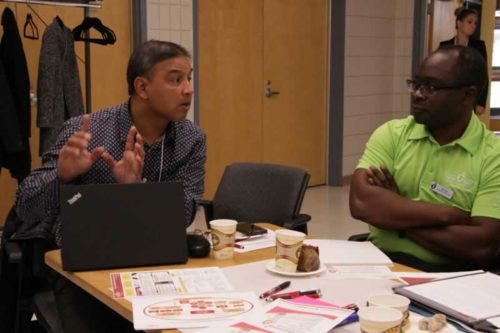 All proposed scenarios could be delivered independently, but participants agreed that the most efficient approach would be a multi-pronged approach delivery of all the three options. 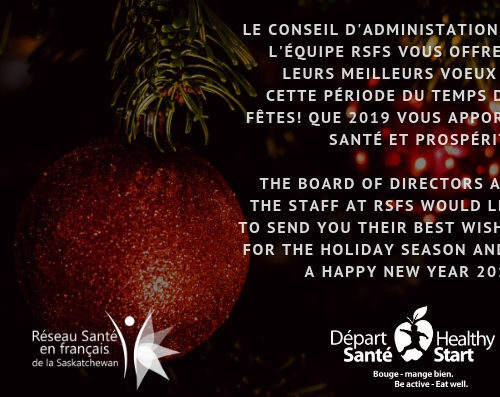 From the start, the program has been managed by the RSFS, even though this kind of project is beyond the scope of its mandate. 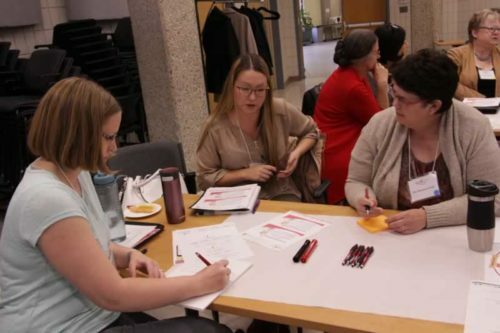 There are community organizations, in Saskatchewan and New Brunswick, whose mandate is linked to the goals of HSDS and discussions are already under way to identify which ones would be willing and able to play a leadership role for the long term delivery of HSDS. 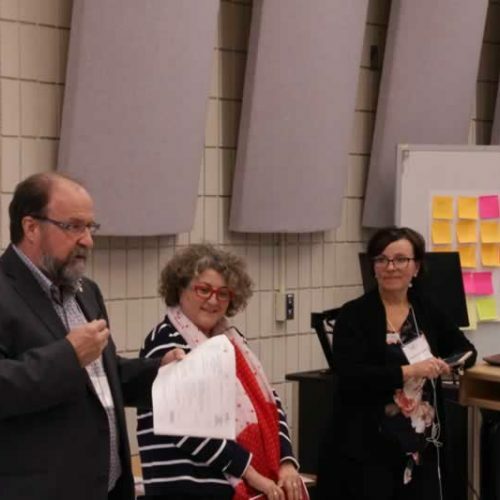 HSDS and RSFS have 18 months to take into consideration the numerous recommendations action items proposed by its key partners at this very productive roundtable. To consult the various documents presented and watch the Zoom recording of the day, please visit the Roundtable Web Page. We cook with the kids more now, they really enjoy it!